Must follow Qgrabs, Huda Restaurant on Instagram and Qgrabs FB & Huda Restaurant on Facebook. HUDA RESTAURANT is proud to offer SIX LUCKY WINNERS a chance to win Set Menu for Iftar or Suhoor with Entertainment for FOUR (adult/kids) and TWO Shisha to share. 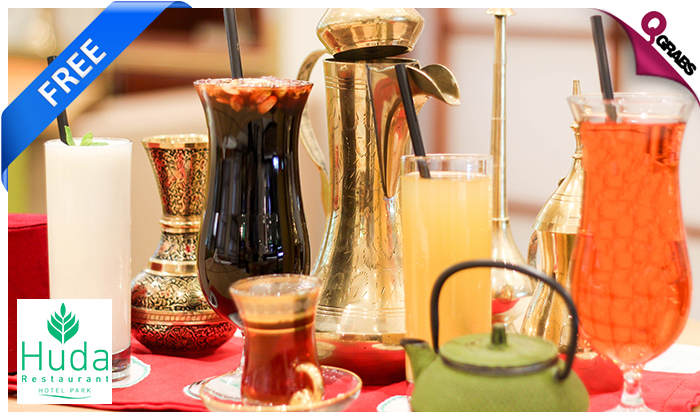 Celebrate the holy month of Ramadan with mouth-watering Lebanese & Arabic dishes. The oriental live music entertainment combined with the delectable set menu will make your Iftar or Suhoor an unforgettable experience. Embrace the spirit of Ramadan at Huda Restaurant Tent at the Hotel Park and explore a lavish selection of Arabic cuisine favorites served by their culinary team. Enjoy mouth-watering oriental sweet delights to complete your Ramadan meal! Two skewers per person served with rice. Take family time to the next level…for FREE! 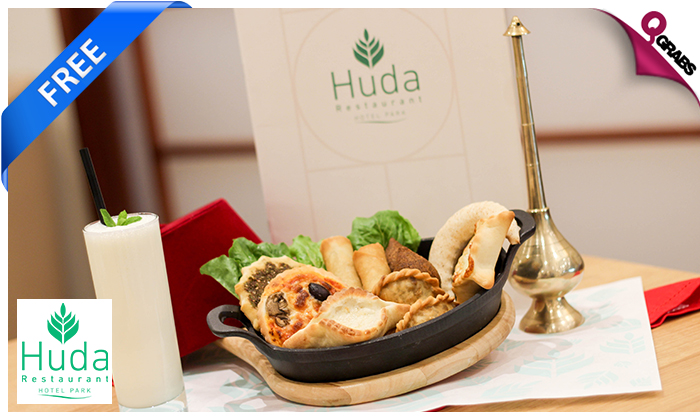 You along with your loved ones can enjoy the holy month of Ramadan at Huda Restaurant. Al Huda was fashioned from a modest idea of offering the finest, authentic yet contemporary Lebanese cuisine to the discerning residents of Qatar. The first outlet was opened in 2007 in Salwa Road, Doha. Soon after, it earned a desirable reputation as Doha’s sort out destination for authentic home-style Lebanese food among its loyal guests. 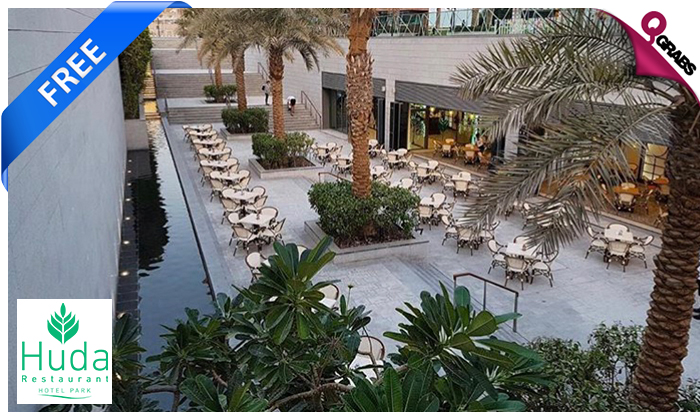 Shadowing the success of the original Huda Bakery, they are proud to offer a distinctive dining experience of contemporary Lebanese cuisine in the heart of Doha, where you will enjoy the much-loved Huda favorites, served in a rejuvenating and friendly ambiance. Rediscover the taste of authentic Lebanese cuisine with friends and family for all occasions, where you shall experience their friendly and professional service.